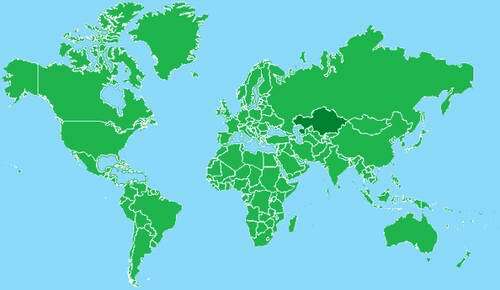 Kazakhstan is located in Central Asia region, south of Russia and northwest of China. The continental position of Kazakhstan in the center of the Eurasian continent is its distinctive feature, and is reflected in the entire physical and geographical make-up of the territory, its hydrogeography, and its plant and animal life. 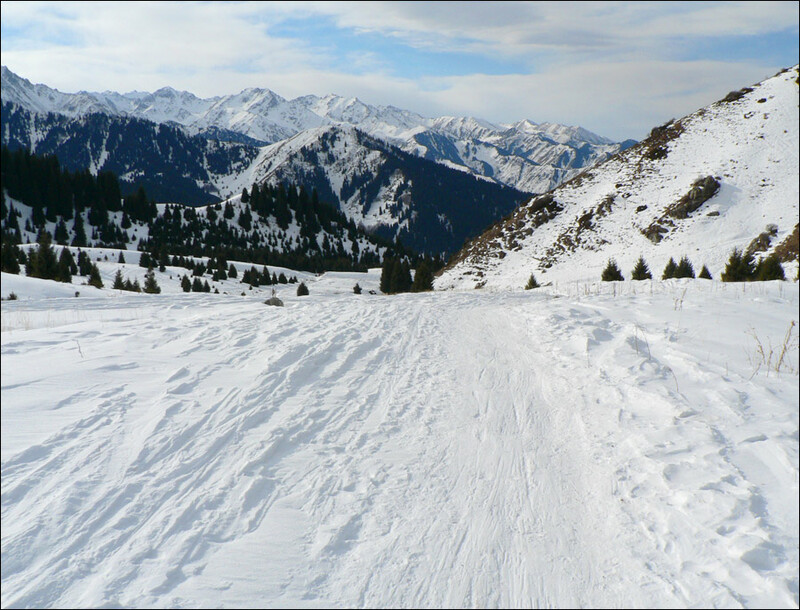 29 February, 2012 / Kazakhstan - the land of contrasts. 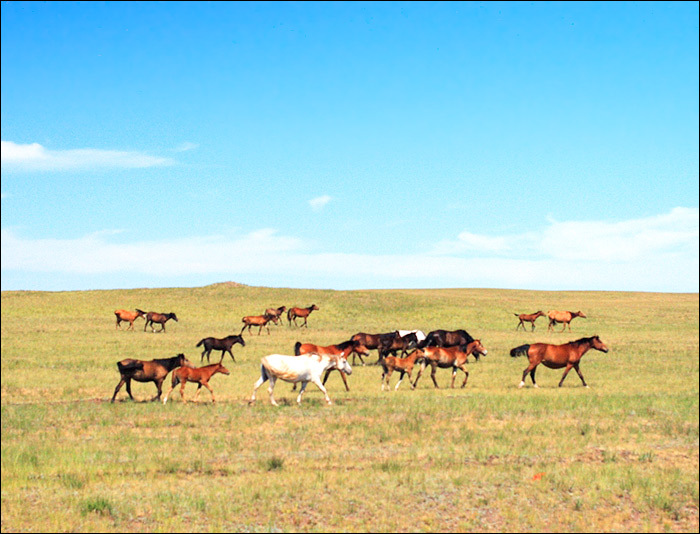 19 July, 2011 / Breathtaking views of Kazakhstan nature. 31 May, 2011 / Nice song about Kazakhstan. 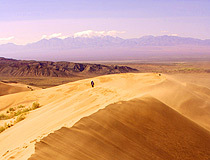 16 March, 2011 / The development of tourism in Kazakhstan. 28 February, 2011 / Video Encyclopedia of Kazakhstan. Kazakhstan origin of name: land of the Kazakhs, ethnic name from Turkish “kazak”: free. Kazakhstan total area: 1,051,693 sq. miles (2,723,890 sq. km). Kazakhstan land area: 1,030,809 sq. miles (2,669,800 sq. km). Five times the size of France. Total 7,459 miles (12,012 km). Kazakhstan shares its longest borders with Russia, 4,251 miles (6,846 km) and China, 951 miles (1,533 km), as well as with Uzbekistan 1,369 miles (2,203 km), Kyrgyzstan, 653 miles (1,051 km), and Turkmenistan, 235 miles (379 km). Kazakhstan also borders 1,183 miles (1,894 km) of the Caspian Sea. Kazakhstan population is about 16,197,000 (2010), the population density - 5.95 inhabitants per sq. km. Kazakhstan life expectancy: 58 years (men), 69 years (women) (UN). 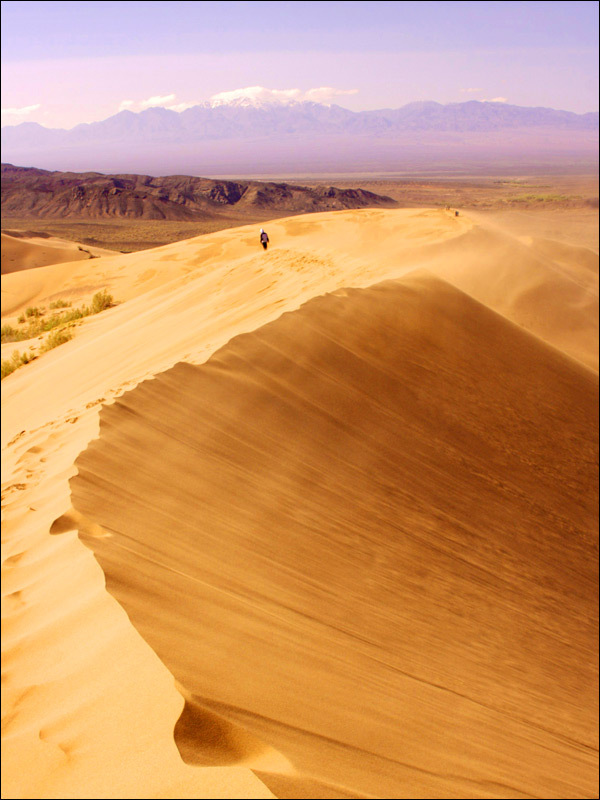 Kazakhstan climate: Continental, cold winters, hot summers. Arid and semiarid. Kazakhstan ethnic diversity: Kazakh 51.8%, Russian 31.4%, Ukrainian 4.4%, Tatar 1.7%, German 1.6%. There are over 100 other nationalities. Kazakhstan religions: 46 religious confessions, including Muslims 47%, Russian Orthodox 44%, others, such as Roman Catholics, Protestants, Judaists at 9%. Kazakhstan languages: Kazakh, spoken by over 52% of the population, is the state language. Russian, spoken by two-thirds of the population, is used in everyday business and enjoys on offical status under the Constitution. Kazakhstan monetary unit: tenge - equal to 100 tyins. Kazakhstan major cities: Aktobe, Almaty, Astana, Karaganda, Pavlodar, Semey, Shymkent, Taraz. Kazakhstan major trade partners: Russia, EU, USA, China. Kazakhstan usual work week: Monday through Friday, 9.00-18.00. 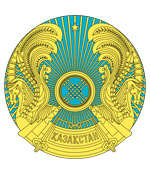 Kazakhstan government system: Kazakhstan has a hybrid system of Government that combines aspects of both parliamentary and presidential systems. Kazakhstan suffrage: 18 years of age; universal. 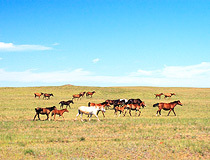 Kazakhstan natural resources: The world’s largest reserves of barite, lead, tungsten, and uranium; second largest reserves of chromite, silver, and zinc; third largest of manganese, significant deposits of copper, gold, and iron ore.
Kazakhstan current oil reserves: 35 billion barrels (twice as much as the North Sea). Kazakhstan projected oil reserves: 100-110 billion barrels by 2015 (would be in top 3 of the world). Kazakhstan current natural gas reserves: 2 trillion cubic meters. Kazakhstan projected natural gas reserves: 5 trillion cubic metres by 2015.
libin asks: What about the literacy rate? The literacy rate in Kazakhstan is more than 99%. Red Carpenter asks: Hey my friend, thanks for your reply. What is main language in Kazakhstan - Russian or Kazakh? Do you guys fly or board train? Can I drive with my US driver license? Is it safe to drive? Do you have big highways? The state language of Kazakhstan is Kazakh but Russian language also has the status of the official one (about 25% of the population are Russians). The trains network is more developed comparing to flights and much more cheaper. You can drive with your US driving license if you have notarized translation of it into Russian or Kazakh language. The quality of the highways and local roads is not high. About safety, in 2010 there were 12,008 road accidents registered, 2,797 people died, 2,809 people injured. Red Carpenter asks: Do you the movie Borat? In US, we are just wondering if Kazakhstan is really that much backward from western world. My company wants me to work in Kazakhstan and I am little nervous. Do you guys have high speed internet? Do you guys have ample fresh drinking water? Do you guys understand English? It is not that much backward from western world. It is looking like Russia in many ways (a lot of resources, large territory, authoritarian regime etc.). There is access to internet almost everywhere but the speed is not very high comparing to western Europe or US. The variety of goods in the local stores is large including the drinking water. Not a lot of people can speak English except the young generation. I am fascinated that, doing Kazakhstan as a project came across many words that are Russian, which is my native language until I was 5.